Not one label is the same – different applications require different digital technologies, which is precisely why printing is such an exciting business. Whether it is for pharma, wine & spirits, durables, health & beauty, industrial chemicals or beverages, every label comes with its own aesthetic and functional requirements. In a series of blogs, we dive deeper into the characteristics of each of these labels, and advice which digital printing technology is best suited. There are many decisive factors and one could easily get confused and feel lost with all the options out there. We will tell exactly which digital printing technology is recommended to achieve the optimal results, taking into account quality, substrates, look & feel and functionality, amongst other technical specialities. 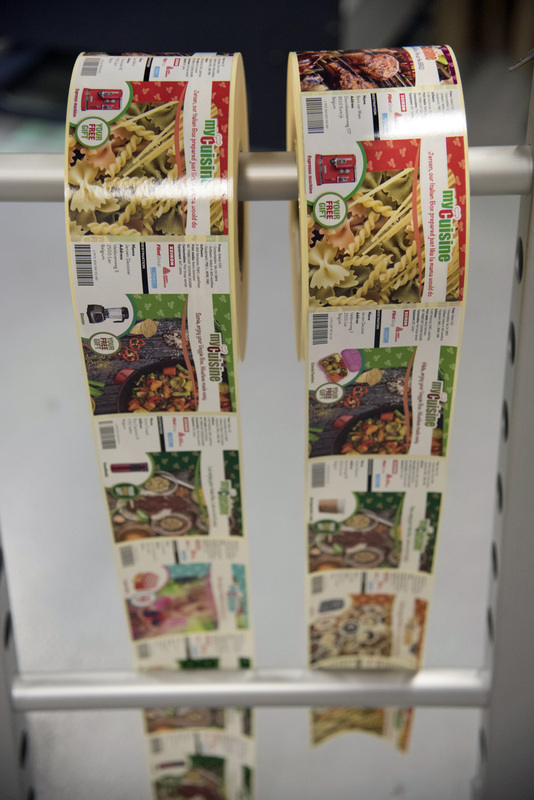 First up in this article, is food label printing and its specific requirements due to its stringent food safety regulations and demand for high quality at reasonable cost. A crucial concept in the discussion of food safety is “migration” – the transfer of substances from the packaging to the packed foods. In order to measure the likeliness of substances migrating through packaging and thus contaminating the food migration thresholds are defined. The so-called Specific Migration Limit (SML) is the maximum permitted amount of a given substance that can be released from a packaging material or printed layer into food. When it comes to food safety, dry toner clearly has an advantage over other technologies, such as liquid toner and inkjet, both in terms of migration and chemical composition. For example, the colorant used to produce dry toner is a pigment, which isn’t considered a migrant. 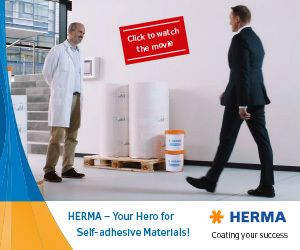 There is no liquid substance involved and surrounding the pigment particles is a polyester resin, which is a polymer with a high molecular mass, also highly unlikely to migrate. Liquid toner is less suited for food label printing as it requires a carrier liquid. Usually a mineral oil is used, which evaporates during and after the electrophotographic process. However, if the residual carrier liquid isn’t allowed enough time, some particles still may be present. Water-based inkjet consists mainly of pigments that have no tendency to migrate and neither have the dispersing agents – very high molecular weight compounds. The only potential migrants present in water-based inkjet prints are humectants residing in the substrate prior to full evaporation. However, water-based inkjet is rarely used since adhesion to polymeric substrates is problematic. UV curable inkjet is prone to penetrate paper substrates due to its low viscosity (6 times lower than UV flexo). The low viscosity is required to ensure that the ink can be jetted through the small inkjet nozzles so this is an intrinsic issue of the technology. When the ink penetrates the substrate you cannot properly cure the ink, leaving dangerous components exposed to migrate - this is a risk you simply cannot take. A primer can reduce the penetration problem but not overcome it. Anyhow a primer is required when printing on paper based materials to achieve good solids and proper color gamut. However, this increases the cost. Dry toner, on the other hand, can print on standard paper label materials without any primer, making it by far the best choice for food label printing. Food sells when its packaging triggers the appetite of the consumers. In other words, packaging and labels have to look their best on shelf. Therefore, image quality is an important aspect. The dry toner process qualifies for food labels, both in terms of print resolution and consistent dot positioning. It makes for very reliable and consistent printing. Inkjet is less used because it is prone to dot positioning errors, thus inherently vulnerable to variations between the target location of a drop and its actual landing spot. Again, a primer can overcome this. Considering all points, a dry toner digital press is undoubtely the best option for those who want to print food labels digitally and respect market demands. If you want to find out more on food label printing, or learn more on the different technologies available in the market, make sure to check Xeikon’s White Paper: ‘Digital Label Printing Technologies. No one size fits all’. It’s free for download from the Xeikon website, and provides in-depth analysis of digital label printing technologies: dry toner and liquid toner electrophotography, UV-curable inkjet and water-based inkjet. Or visit Xeikon at Labelexpo Europe 2017, where we’ll be sharing our expertise on food label printing, and much more in Hall 5. On our stand, we’ll display our full portfolio of digital label printing solutions, including both dry toner and UV-inkjet, and unleash our two fast felines – Panther and Cheetah. For more info, visit www.Flintgrp.com/Labelexpo.